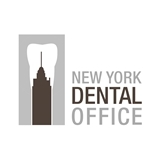 New York Dental Office (New York) - Book Appointment Online! Affordable expert dentistry. Accepting most PPO insurance plans. Conveniently located on the upper east side of Manhattan. Specializing in implants, periodontal surgery, crowns and bridges, veneers, invisalign and whitening. Newly renovated office with digital x-rays (90% less radiation than old D-Series), and high-tech 3d Cone Beam technology for implants and complex cases. Come see our newly renovated offices! Open late on Mondays. Starting Saturday hours. I was impressed with how thorough the exam was. I appreciate the information given. I got answers on all my questions. Great service. I was extremely pleased at how patient & through Dr. Brick was.